For those who are thinking on moving to Office 365, and in what that might mean from a user experience perspective, the release of the Exchange 2013 Cumulative Update 8 (CU8) and Exchange 2010 SP3 Rollup Update 9 (RU9) brings a long expected feature – seamless experience on the on-boarding process of ActiveSync users, to Office 365. You can read the full details on the article Exchange ActiveSync on-boarding to Office 365, published on the Exchange Team Ehlo Blog. Instead of duplicating all the information that you can read on the official blog article, i will just give you my thoughts on how this works and highlight the key points. 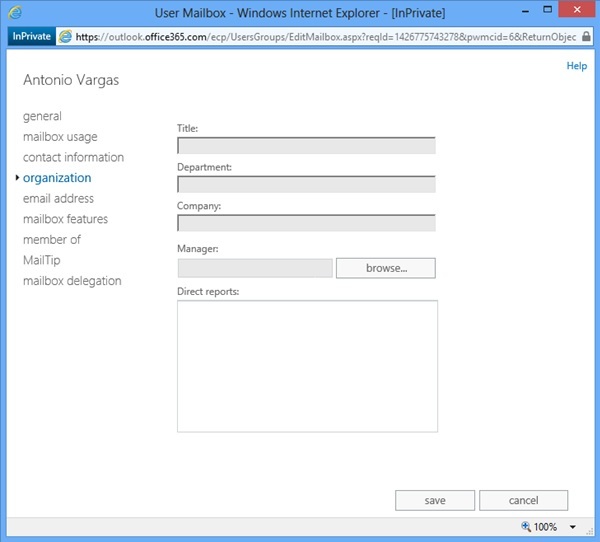 When a user is moved to Office 365, under a Hybrid deployment, that mailbox on premises is converted to a remote mailbox, and a “RemoteRoutingAddress” of the type User@tenant.mail.onmicrosoft.com is configured for the remote mailbox. That remote routing address should be configured as a domain name on an existing Organization Relationship “On premises to O365”. Before Exchange 2013 CU8 and Exchange 2010 SP3 RU9, the experience was only seamless for users via Outlook or OWA. 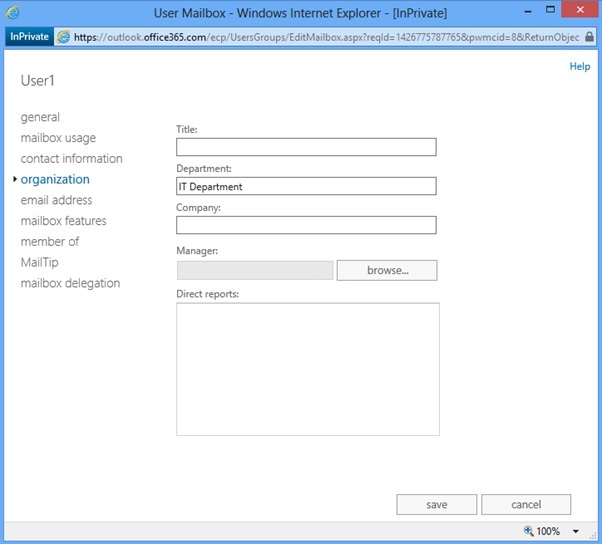 When those users, moved to Office 365, tried to connect to the Client Access server on premises, a mailbox wasn’t found.. so what happened next? That “TargetOWAURL” is then used by Outlook (automatically reconfigured the profile) or OWA (presents the new URL to the user) to redirect the user to the Office 365 mailbox. After Exchange 2013 CU8 and Exchange 2010 SP3 RU9, that process will also work when the user is connecting via Exchange ActiveSync, making the experience seamless as well for all the ActiveSync users. Of course for all of you that, like me, spend countless hours explaining to customers that recreating the exchange partnership on all of their user’s phones, was the only option, and helping on the creation of user guides, this new feature is excellent news. From my personal perspective it makes perfect sense that, with the Client Access services already using the Organization Relationships and the TargetOWAURL, to redirect Outlook and OWA clients, the capability to redirect ActiveSync clients is now also an available feature. Of course there are some limitations, such as the device EAS version not supporting HTTP 451 redirects or cross-forest migrations. I highly recommend that you read the official article, for all the details on this new feature. 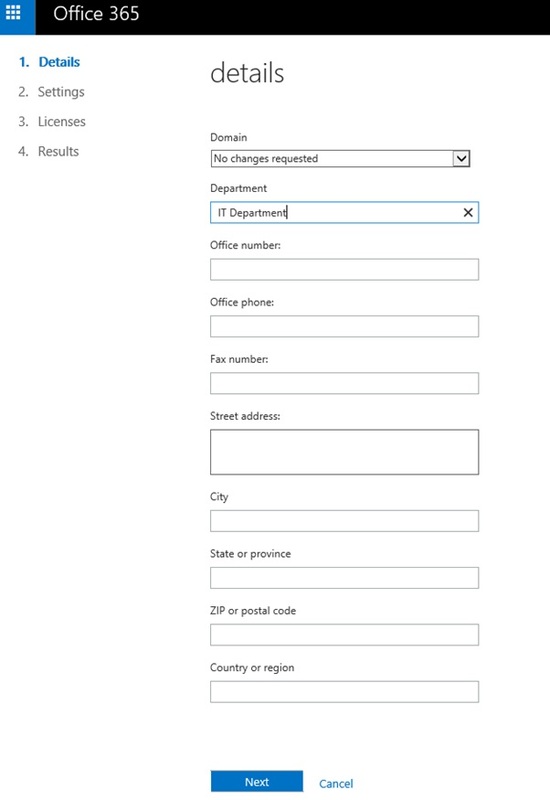 I recently bumped into a very specific scenario, where i needed to view the mail attribute of a user on Office 365. And why did that happen? In my scenario I was integrating (at the client level) Lync on Office 365 and Exchange on a completely different forest (not on the 365 tenant and not the on premises forest synced with 365). Therefore, my Lync Online user was not Exchange enabled neither on premises or on Office 365, because when that is the case then i really don’t see why you need to look at this specific attribute. When you want to have client level integration between the Lync client and Exchange, the mail attribute (on the forest where Lync is – Office 365 on my scenario) for that specific user needs to be populated with the users email address. Again this user DOES NOT have a mailbox or exchange attributes. 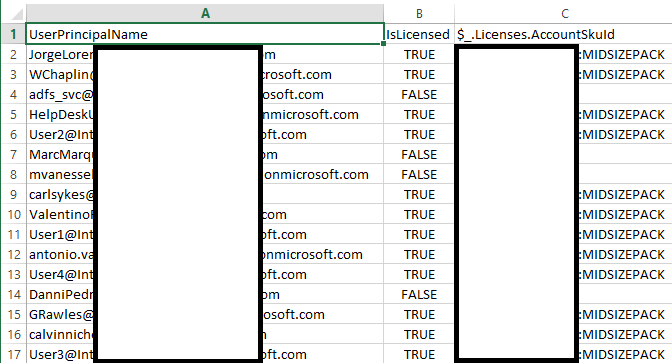 The reason you can’t see the mail attribute by running the Get-MsolUser is because that cmdlet will only show you the same attributes you can see via the Office 365 admin site, and not the entire set of attributes of the user. Now let’s try and connect to the Office 365 Exchange Management Shell. User1 is not enabled for Exchange on premises or Exchange on Office 365. But that doesn’t mean that we can’t see what we are looking for, the mail attribute. Important Note: I’ve ran the cmdlets against User1 and User4 to show you the differences. Both User1 and User4 do not have an Exchange Mailbox on premises or on Office 365. 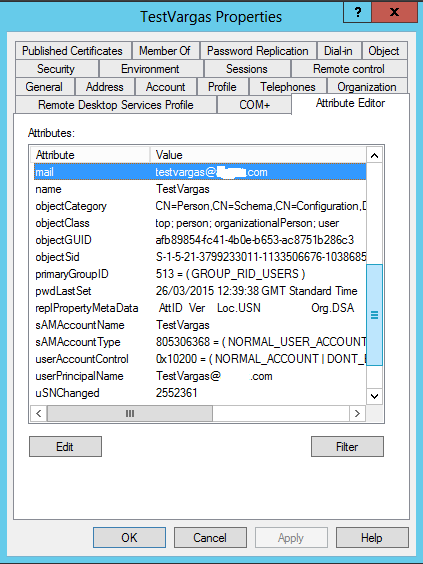 User1 had the mail attribute defined on premises, and pushed to 365 via Dirsync. User4 is a cloud user and we are going to define the attribute directly in the cloud. Again we are using the Exchange Management Shell on users that DO NOT have a mailbox on Office 365. So we’ve just use the Office 365 Exchange Management Shell to set the mail attribute for a user that does not have an Exchange Mailbox. For me, the above procedures were fundamental when integrating, at the client level, Lync on Office 365 with Exchange on a completely different on premises infrastructure. There’s no point on giving more details about that, i will probably write a blog post, describing the entire integration process, one of these days. I highly recommend that you read the entire article, to better understand the several scenarios, but I will give you also my personal insight on this. You are migrating from Google Mail to Office 365 (excellent decision btw 🙂 ), you never had Exchange on-premises. 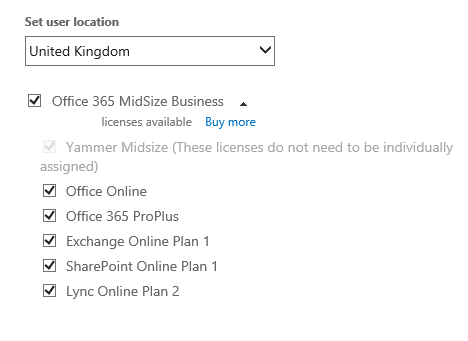 Using the same password on-premises and on Office 365 is a requirement, so you install Dirsync, configure your Office 365 tenant, use MigrationWiz to migrate all your mailbox data from Google Mail to Office 365 (another excellent decision), change your DNS records to Office 365, and start using the service. Do you need an Exchange on-premises? Yes.. you should have one. Why? Because you have Dirsync and your objects are being synced from on-premises to Office 365. What challenges will you face if you don’t have an Exchange on-premises? Several, and it will depend on two factors. The first thing you need is to have your active directory schema on-premises extended for Exchange. 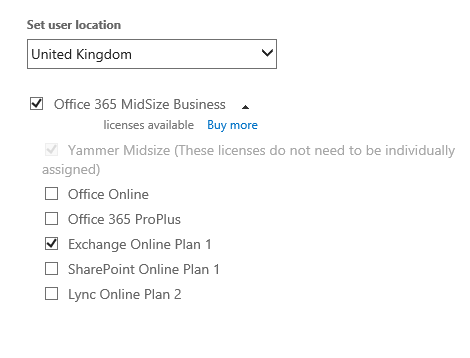 Meaning that if you cannot edit the Exchange attributes off an object, on Office 365, because that object is being synced from the on-premises AD, you will need those attributes to exist on the on-premises AD so that you can edit them there. Makes sense? Have a look at this article describing one of the issues you might face. The second thing you need is a supported way to edit those attributes on premises. Probably some of you thought “Why can’t i use ADSIEdit to edit those attributes on premises?”. Well the answer is simple: It’s NOT SUPPORTED! Is Dirsync a requirement? If yes then you need Exchange on-premises. Is ADFS a requirement? If yes then you also need dirsync, so same answer as above. The article also describes how to disable dirsync, if it’s not a requirement anymore, and with it you can also remove all your Exchange on-premises server. What about the Exchange on-premises Server license? Do you need one? You currently do not have a licensed Exchange 2013 or Exchange 2010 SP3 server in your on-premises organization. To summarize this post, the official answer from Microsoft, on when and why to keep Exchange servers on-premises after moving to Office 365, is an excellent resource you can use, provided that you fully understand the reasons behind it. Hope this post was helpful! Thanks!